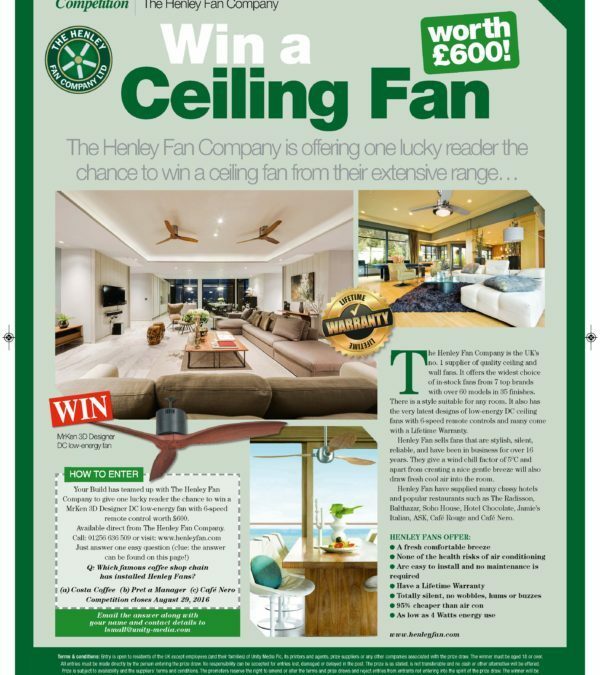 Win a MrKen Designer Ceiling Fan Worth £600! This stylish DC ultra low energy fan comes with a 6 speed remote and has a Lifetime Warranty. Using just 24 watts of energy at full speed it can be left on overnight on slow speed with just 3watts, drawing in cool night air to cool a conservatory or room down. Great for those sticky still summer nights in a bedroom. It is available in either ABS or solid wood blades it has been deployed in many 5 star resorts in Asia and exclusive hotels including the Amari Phuket. It is now available in Europe exclusively from The Henley Fan Company. The closing date is 30th August. No purchase necessary just email your answer and name to sales@henleyfan.com to be entered. See the full new range of MrKen designer fans for that extra special unique look.